Howell Park Golf Course, with its rustic setting, manicured bentgrass fairways, and fast-sloping greens, provides a golfing experience often associated with private clubs. Repeatedly ranked among the top 50 public golf courses in America by national golf publications, this par 72 course measures 6964 yards from the blue tees and has USGA course and slope ratings of 73 and 126. There is also a warm-up range and a large, immaculately maintained practice green. Beginning and intermediate golf clinics at Howell Park Golf Course are available by calling 732-842-4000 ext.1. Tee times are available through the tee time reservation system after the purchase of a Monmouth County Resident ID card or a Non-Resident Reservation I.D. Card. Reserve a tee time online or call 732-758-8383. 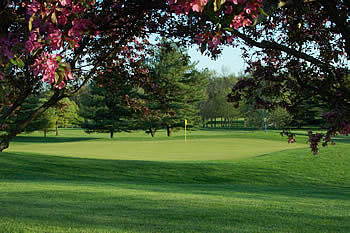 The entrance to Howell Park Golf Course is located on Preventorium Road in Howell Township adjacent to Howell High School. From the Garden State Parkway or the New Jersey Turnpike, take Interstate 195 to exit 31B Farmingdale. Follow signs to golf course.